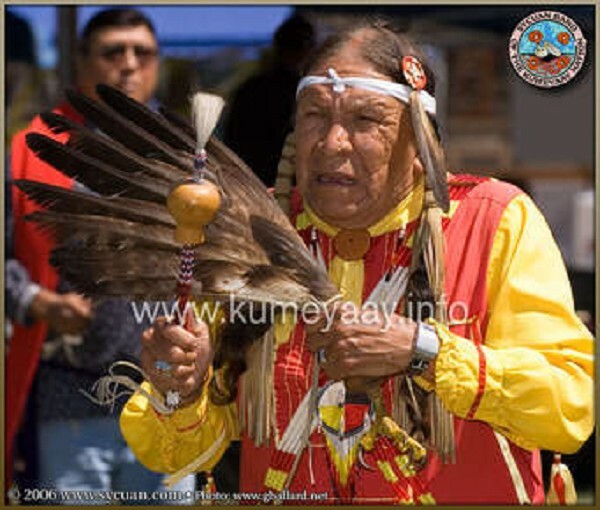 Saginaw Grant, actor and traditional Sac & Fox dancer, could be a link to local tribes from the 1700s. The memory of the long trail of the Indians from Bay City to Oklahoma is kept alive by a Sac and Fox actor who calls himself Saginaw Grant. The name Saginaw in connection with the Sac and Fox (Sauk) and Chippewa Indians of this area is being perpetuated by the actor who now lives in Malibu, California, far from the cold blue waters of the Great Lakes where his ancestors lived. Bay City's Indian history is still being revealed. Recent research has disclosed that about 200 Ojibwa/Odawa warriors from the ancient village at Bay City's Fletcher site on Marquette Avenue joined in Pontiac's Uprising in 1763 in Detroit. Historians previously knew of the local Indians mainly as tillers of the soil known for having furnished corn for French soldiers at Mackinaw in the early 1700s. The Ojibwa/Odawa were the inheritors of the Saginaw Valley after the exit of the Sauks to Wisconsin following the massacres in 1642. Saginaw Grant is described online as "the Hereditary Chief and a respected member of the Sac and Fox, Iowa and Otoe-Missouria Nations." In a recent interview he recalled his Wisconsin roots, but did not elaborate on how his name "Saginaw" was acquired. Consider the following as a theoretical construct, extrapolating historical data and merging it with empirical information to reach a conclusion. In other words, have an open mind and consider this as a possibility, perhaps a probability. The Sac and Fox ended up, like most tribes who were exiled in the Trail of Tears, in Oklahoma, then known as "Indian Country." Morgan Saginaw Grant was born to Sarah and Austin Grant Sr. in 1936 at Pawnee Indian Hospital in Pawnee, Oklahoma. He was raised on a farm in Cushing, Oklahoma with two brothers and one sister. A brief biography states: "Having a traditional upbringing by both parents, Saginaw was especially influenced by his grandparents. His grandfather Kirvin was a strong medicine man and his other grandfather Saginaw, whom he is named after, (perhaps the baseball player in the photo at the reservation) was also a very spiritual man. They taught Saginaw their customs, culture, and traditions and the importance of their way of life. As a result, Saginaw witnessed many special ceremonies and events taught to very few. "During his life in Oklahoma, he took on employment in various industries such as dry cleaning, also gaining a better understanding of the Bureau of Indian Affairs, and other vocations in which he enjoyed interacting with people. This gave him the opportunity to learn about different philosophies, beliefs, and religions. "He resides in Malibu, Sun Valley, California. Where he is called upon for counseling, lectures, and family events, while also pursuing his acting career. "He adopted Actress and Activist Mariana Tosca to be his daughter and a member of the Sac and Fox, Iowa, and Otoe-Missouria tribes." The publication Indian Country of the Chippewa tribe states: "Actor Saginaw Grant (Sac and Fox, Iowa and Otoe-Missouria) is one of the most recognizable faces in Indian Country. He's also a proud keeper of Native culture who shares his wisdom with younger generations, and he's concerned about the direction in which some of those young people are headed. In this 10-minute documentary, produced by Native Driven Network, the iconic performer known for his work on "The World's Fastest Indian," "The Lone Ranger," "Winter in the Blood" and "Breaking Bad" shares his thoughts on the importance of preserving Native culture, leading a spiritual life, and learning from one's elders." There are strong historical indications the actor Saginaw Grant is a descendant of the Sauk tribe virtually wiped out in a 1642 massacre here and in several other areas of Michigan, including Midland, Flint, and Owosso. It was the start of the Beaver Wars between the French and British that ended only with a British victory in 1763. Members of the Chippewa (Ojibway) and Ottawa (Odawa) tribes occupied a village of 800 persons on the Saginaw River near the Banks area of Bay City in the 1750-1765 period. Life and death, at that village, has been documented through the 1967 discovery of a native cemetery there. The cemetery was excavated by archaeologists from Michigan State University and the results of the dig were summarized by Robert C. Mainfort, Jr., in a 1985 scholarly article in American Antiquity. The article was entitled "Wealth, Space, and Status in a Historic Indian Cemetery." Among revelations in the article is the conclusion that not only were there warriors here, they are believed to have been involved in Pontiac's Uprising of 1763. Old maps of the area "show a village of Ottawas and Chippewa numbering some 200 warriors at virtually the exact location of the Fletcher Site. This figure is consistent with Peckham's estimate of the number of warriors from the Saginaw Bay area who participated in the Pontiac uprising of 1763." 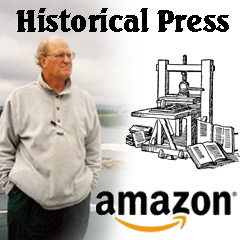 The author of the book "Pontiac and the Indian Uprising," was Howard H. Peckham, longtime director the William L. Clements Library at Ann Arbor, a noted scholar. Using original sources archived at the Clements, Peckham also disclosed that Lord Jeffery Amherst, commander of British troops during the French and Indian War, sent blankets infected with smallpox to his Indian opponents, an early example of germ warfare.